PRODUCT SPOTLIGHT: WINCHESTER HANDGUN AMMO REBATE! Maximum Rebate $50. All pack sizes and configurations are eligible. Ranger products are not eligible for this rebate. All rebate forms must be received by June 1, 2019. 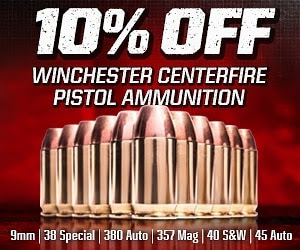 CLICK HERE FOR FULL REBATE DETAILS ON WINCHESTER CENTERFIRE PISTOL AMMUNITION ! 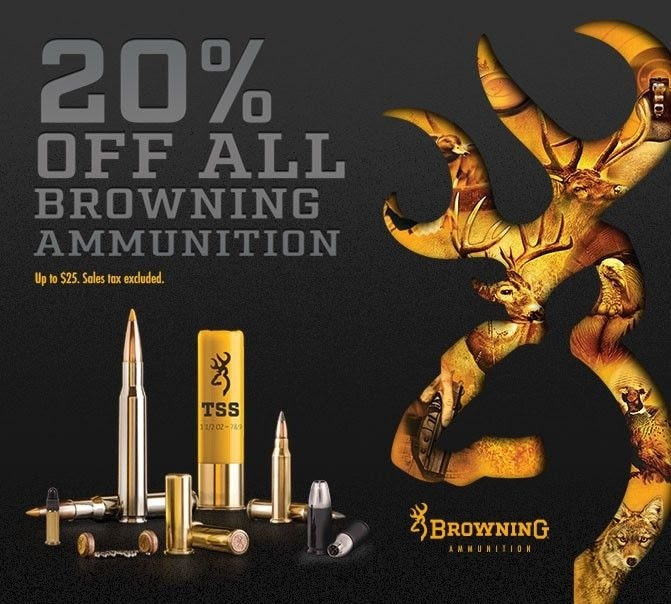 PRODUCT SPOTLIGHT: BROWNING AMMUNITION REBATE! Offer expires and all requests must be received by May 26, 2019. OFFER IS LIMITED TO ONE OFFER PER HOUSEHOLD. CLICK HERE FOR FULL REBATE DETAILS FOR BROWNING AMMUNITION! CLICK HERE TO VIEW OUR FULL LIST OF NOSLER PRODUCTS!